Last Saturday, we (Myself, Jon and Karl) were in Lowestoft at the Stanford Arms for their Easter Weekend Beer Festival. If you’re not familiar with the Stanford Arms and you’re a cask ale lover based in East Anglia then this is a must visit. 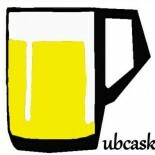 All beer is exclusively cask – with usually around 12 on at a time. Furthermore, the staff create a warm welcoming atmosphere. Lowestoft can sometimes seem dreary and a little downtrodden; but you’ll need to get rid of your prejudices surrounding the pub’s location as this is one of the great alehouses of East Anglia. Beer from Yorkshire was the theme for this festival. There were even filled Yorkshire puddings to snack on whilst drinking your way through an outstanding array of beer. Beer geeks will instantly realise that the Stanford know good beer and good breweries. Beers were available from, Bad Seed, Saltaire, Magic Rock and Kelham Island to name only a few. Here’s the complete list of what was available over the weekend. Wow. Ilkley – Mary Jane 3.5% – A highly drinkable session beer. Lovely hoppy aromas and dry bitter finish. Roosters Blind Jack 3.7% – A harsh taste to this amber bitter. Wasn’t to our liking. Brass Castle Cliffhanger 3.8% – We’re big fans of Brass Castle and this was no exception. This was a lovely smooth easy going golden. A summer evening beer! 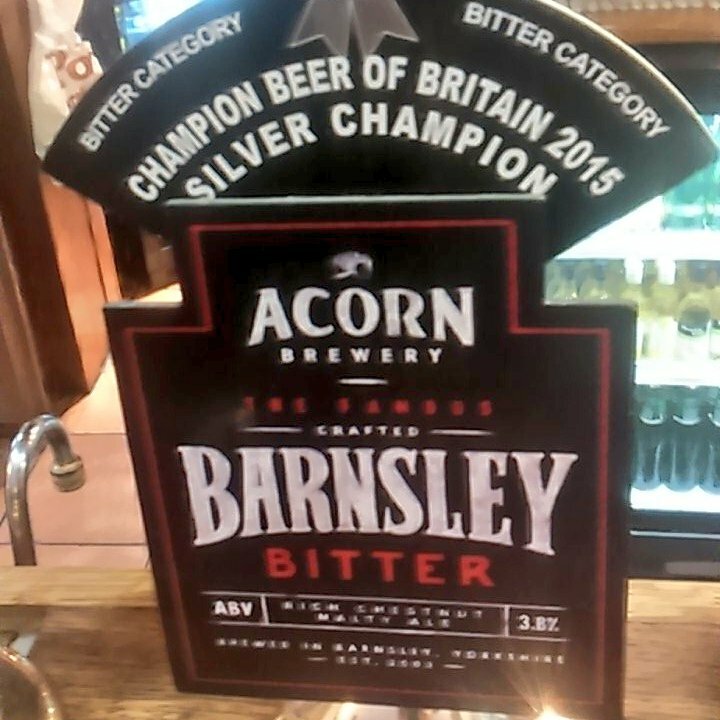 Acorn Barnsley Bitter 3.8% – An old favourite of mine. A traditional malty bitter but its sweet flavoursome nature and full body make this far from ordinary. One of the best ‘old-fashioned’ beers out there. Kelham Island Easy Rider 4.3% – This started off as an easy going pale ale with enough hop to offer a satisfying bitterness although as it warmed I did go off it a bit. Vocation Heart and Soul 4.4% – This session IPA had a great hop character. Ticks the boxes as far as session IPA is concerned. Revolutions Go-Go American Pale Ale 4.5% – There wasn’t really much to get excited about with this one. Just an okay hoppy beer. Saltaire Cascade 4.8% – This was one of my favourites of the day. Very refreshing and smooth with a evident yet not overbearing hop character. Really enjoyed this one. Bad Seed Cascadian Dark Ale 5% – I am not known for being a fan of Black IPA. I often find them imbalanced and frankly odd! But this was different! Another contender for beer of the day. It was rich, fruity and creamy. A great balance of hop and malt flavours. I’ve had bottles from Bad Seed before. Everything they’ve done has impressed me and this remains the case. Roosters Baby-Faced Assassin 6.1% – This IPA remains appropriately named. Citra hopped, refreshing and very drinkable. Great Heck – Yakima IPA 7.4% – This sweet highly drinkable IPA is loaded with hoppy, boozy flavours. We were big fans. So that concludes my review of this beer festival at the Stanford Arms. It must be stressed that all beer was in great condition. For Mayday the Stanford I believe are doing a Dark Star themed beer festival. Should be good! Cheers for reading and if you haven’t already, pay the Stanford Arms a visit. This entry was posted on March 29, 2016 by Chris Stone in Beers, Breweries, Days Out, Pubs and tagged ale, Beer, Beer Festival, Beers, Lowestoft, Pubs, Real Ale, real ales, Suffolk.